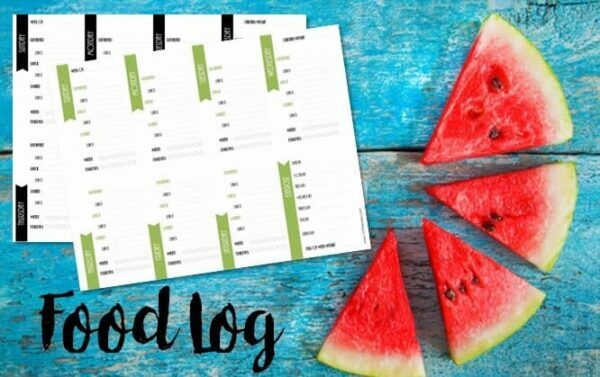 Free printable food log template to keep track of food, water, exercise, weight, fruit and vegetables. This free printable food journal template is offered in six different colors. 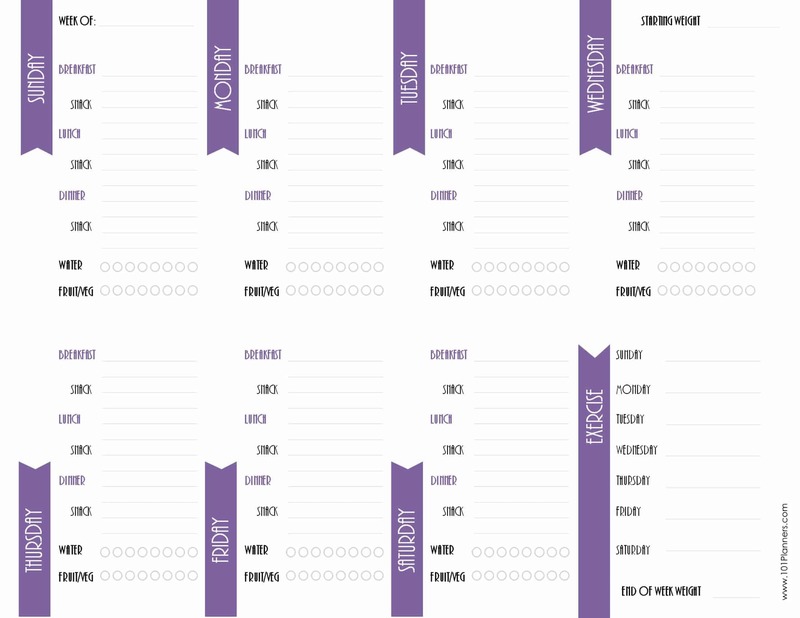 You can mix and match or print them all to create your own food journal. What is a food log template? 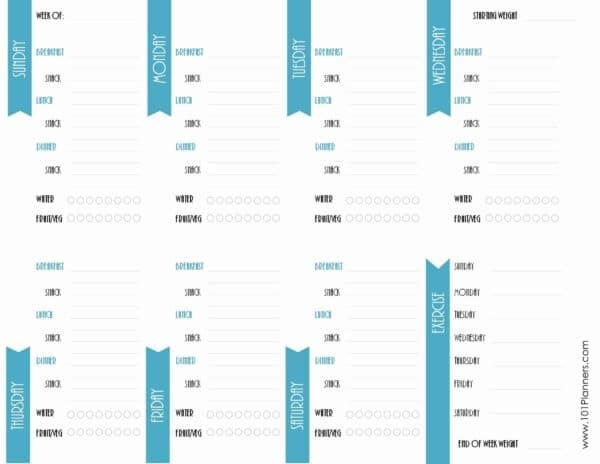 A food log template is a food journal that you can use to keep track of what you plan to eat, what you actually eat, how much water you drink, how many fruit and vegetables you eat a day and how much sport you do each week. Each food log on this page is slightly different but most of them track most of the above-mentioned things. A food log enables you to ensure that your diet is balanced. If you keep track of your food each day you can ensure that you are eating carbohydrates, protein, healthy fats, fruit and vegetables, etc. When I don’t keep track of my food I tend to consume mainly carbohydrates. When I plan my diet then it is almost always more balanced. Keeping a food log journal will enable you to count calories or points or to just keep track of how much you are eating to lose weight, gain weight or maintain your weight depending on your goals. When I track my food intake I always eat less than when I don’t. 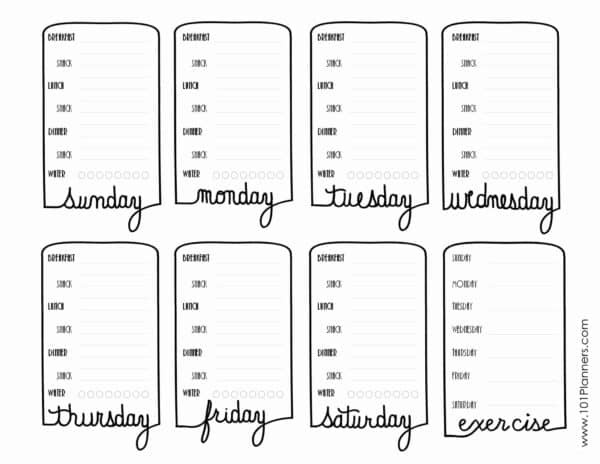 I don’t even realize how many calories I consume when I don’t use a food journal. If mindless eating is a problem for you too then keeping a food log can be very helpful. Why keep track of water intake? I don’t know about you but I don’t drink enough. When I don’t drink enough I always eat more than when I do. Besides all of the benefits you get from drinking water you might also find yourself eating less. I know that I do. How do you use the food template? You are free to use it any way that you want but I like to fill out my planned menu in pencil in the morning, the day before or at the beginning of the week and then make changes according to my actual food intake. This works for me but you are free to use it any way you find helpful. 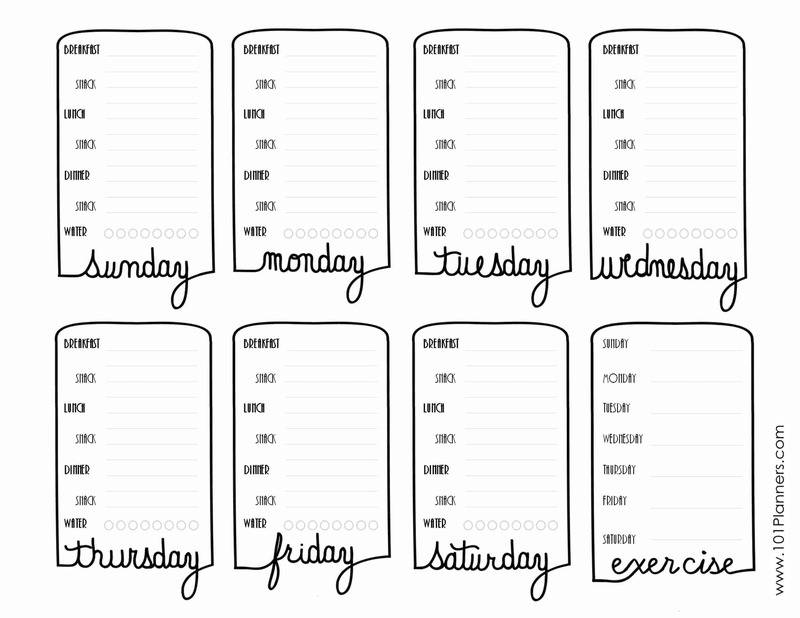 The goal is to stick to the diet or lifestyle that you plan. 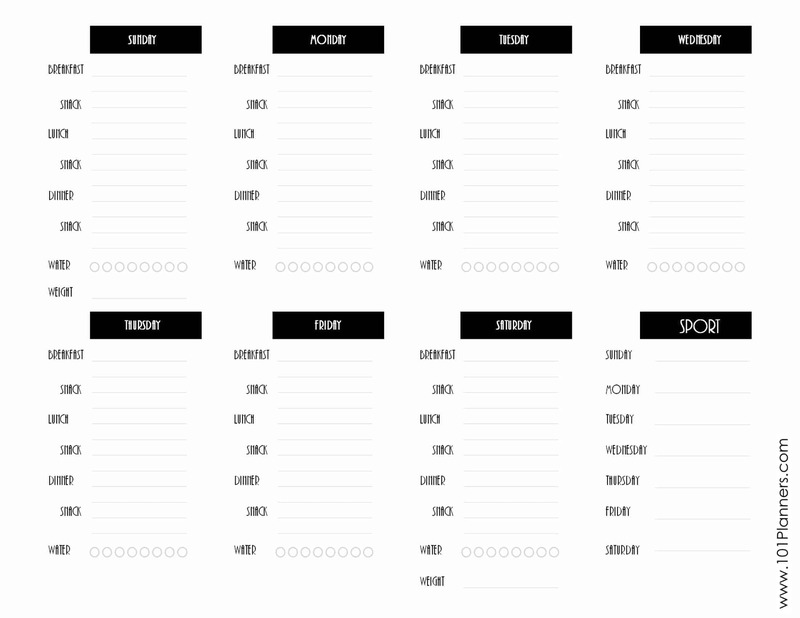 When we eat without keeping track of what we are eating we often consume more calories than we think that we consumed. You can create your own food diary template that can be used for months. Print a few copies of any of the templates above. 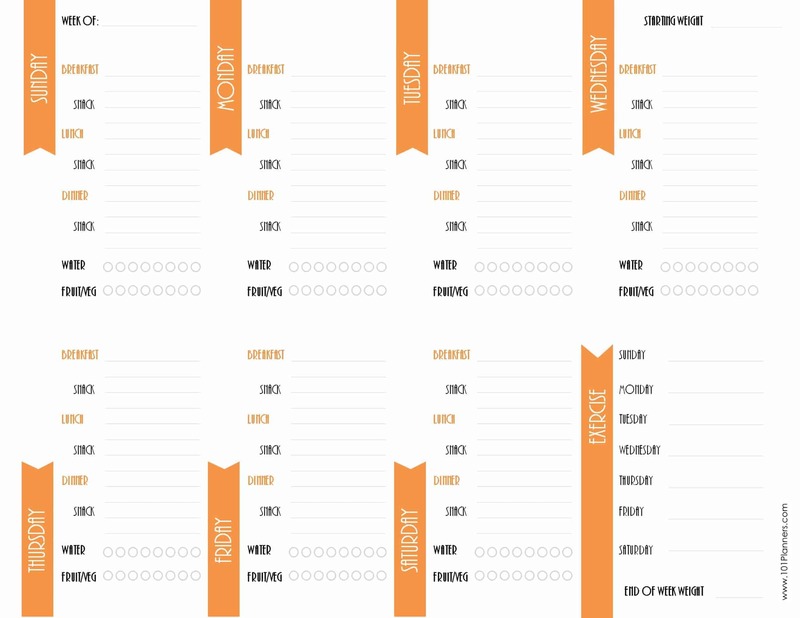 Create a binder cover. 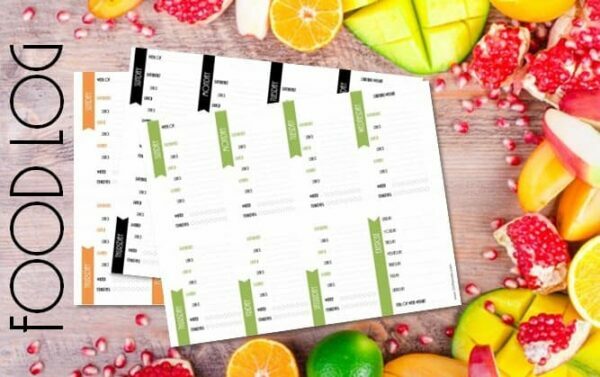 Place the binder cover on top of the food logs and have them bound or just put them in a binder. Looking back at your past food diaries can help you see which lifestyle changes are working and which are not. It is a great way to prioritize your health and make sure that you are providing your body with nutritious food. 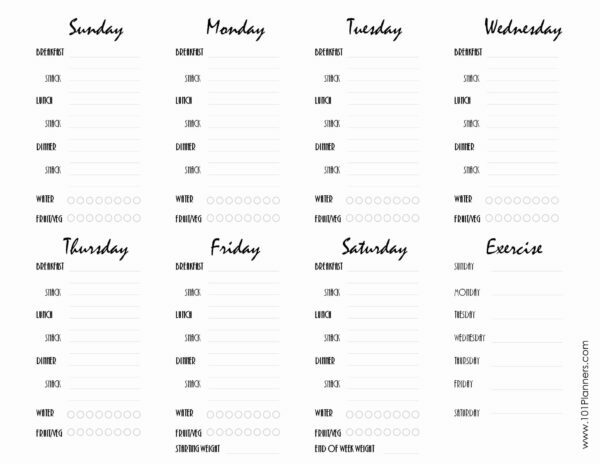 Studies have shown that when we record our daily food intake then we do not eat as much.